In homes or businesses, a furnace is one of the most important pieces of equipment. So, it is essential to be aware of when to replace it before it costs you more in repairs than what a new furnace would. You do not want to ‘spend good money after bad’. It can be a tricky task for anyone to know when to repair your furnace and when it’s time to consider a furnace replacement. While repair services can help to extend the life of your furnace and be the most cost effective choice, in some cases, furnace replacement might be better. Best Furnace Replacement Service in Atlanta! If you have an HVAC furnace that needs replacement, call Anytime Heating, Cooling and Plumbing first. 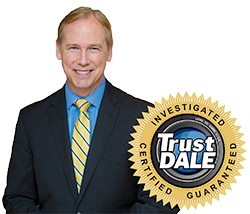 We are your local, trusted source for professional furnace replacement in Metro Atlanta. Our technicians are licensed and trained to remove your old furnace, help you choose a new one and then professionally install and warranty it. Dial 770-504-5881 to schedule an estimate and learn more about your options for a furnace replacement! When Should You Replace Your Old HVAC Furnace? You should contact Anytime Heating, Cooling and Plumbing immediately when you notice any of the above signs. We will send out one of our licensed and trained HVAC technicians to your doorway to examine your furnace and determine whether or not it needs replacement or if a simple repair is the right choice. Besides saving you money by reducing your energy consumption with a new energy efficient HVAC System, replacing your old furnace with a new one can have numerous other benefits. So, don’t wait, just dial 770-504-5881 to contact Anytime Heating, Cooling and Plumbing for an HVAC furnace replacement in Metro Atlanta today! What Does a Furnace Replacement Cost in Atlanta? Here at Anytime Heating, Cooling and Plumbing, we’ll provide you with an upfront estimate for an HVAC furnace replacement in Atlanta. Dial 770-504-5881 to get a quote now! Anytime Heating, Cooling and Plumbing is fully licensed, insured, bonded and committed to your full satisfaction. Our team is extremely professional, properly trained, insured and highly experienced when it comes to furnace replacement in Atlanta! If you need an HVAC furnace replacement in Atlanta, call us at 770-504-5881 today & speak to the knowledgeable staff of Anytime Heating, Cooling and Plumbing to book an appointment! Get 24-Hour Furnace Replacement Service in Atlanta! If you are looking for 24-hour furnace replacement service in Atlanta then Anytime Heating, Cooling and Plumbing is the best place for you. We are focused on providing the safest, highest quality furnace replacement services possible. Our licensed and insured technicians have the proper training and certifications to perform every job perfectly. Call us at 770-504-5881 to schedule an appointment today!